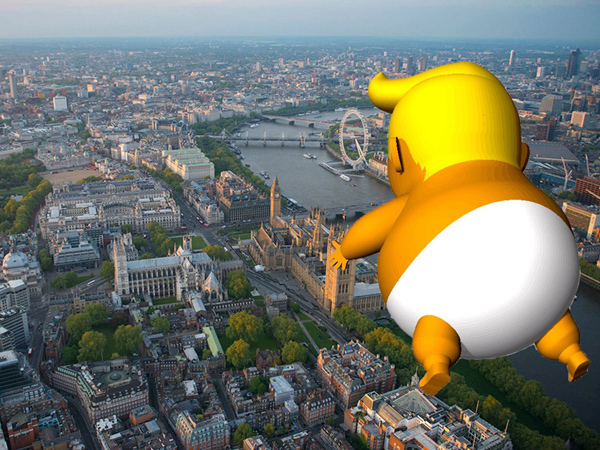 Rather than focusing on tackling the knife crime epidemic sweeping London, Sadiq Kahn has decided to put his focus on giving the "Trump baby" balloon the green light to fly near parliament during the president's UK visit. What's more baffling, just months prior to Trump's coming visit, the UK welcomed Prince Mohammed bin Salman visit with open arms and with barely a 'peep' in protests. Well, Saudi Arabia’s dismal human rights record for start, not to mention its involvement in the three-year-old Yemeni war, and of course UK government’s arms sales to the country. 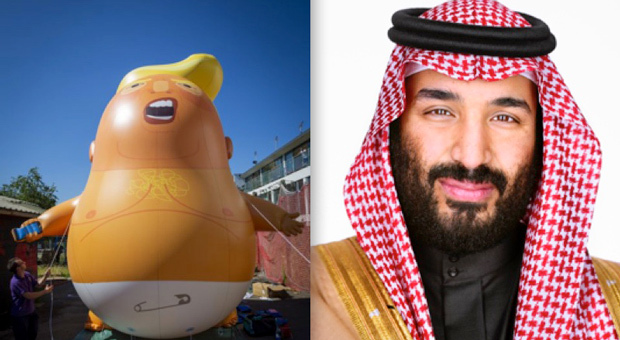 Did we see a Prince Mohammed bin Salman blow up baby? “The UK has armed and supported the terrible war since day one, and there is no doubt that arms sales will be top of the agenda next week,” a statement from CAAT’s Andrew Smith said. So before you start protesting Trump's visit, you may need to do some homework as to why the UK rolled out the red carpets for someone like Prince Mohammed bin Salman but gives the go-ahead to insult the President of the United States. According to SkyNews: London mayor Sadiq Khan's Greater London Authority has approved a request for the flight after thousands signed a petition and a crowdfunding campaign raised more than £16,000 to get the six-meter inflatable off the ground. Strict rules are in place for the flight from Parliament Square Gardens, with the balloon being tethered to the ground and restricted from floating higher than 30m (98ft). It will fly between 9.30am and 11.30am on Friday 13 July - coinciding with the president's visit to the UK and a "Stop Trump" march in central London. A spokesperson for the Mayor of London said: "The Mayor supports the right to peaceful protest and understands that this can take many different forms. Campaigners say the Met Police are in charge of local airspace on the day, have seen their plans and are currently happy for the flight to go ahead - but maintain a right of veto on the day. The group behind the stunt - who call themselves anti-fascist "art activists" - are now liaising with the Met and the Civil Aviation Authority to ensure airspace over London is managed safely on the day. Activist Leo Murray told Sky News: "We didn’t get off to the best start with the Mayor’s office over this, who originally told us that they didn’t recognise Trump Baby as legitimate protest. Mr Murray has described the balloon as an "obscene mutant clone of the president" and says it will "hold up a huge mirror of truth" to the world. Describing Mr Trump as a "dangerous excuse for a president", the group's spokesperson, Nona Hurkmans, said: “We are just a small group of friends who set out to show that fascists are not welcome in the UK. "We have been genuinely overwhelmed and touched by the incredible levels of support we have received for our project." 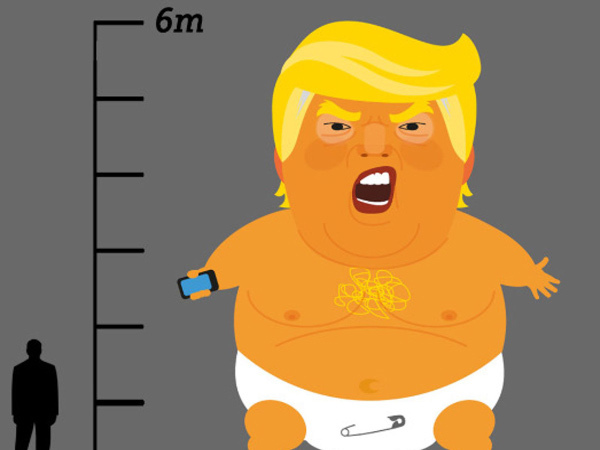 Activists also hope to take "Trump Baby" on a world tour following the president's visit.